When we set out on a road trip, we tend to focus on the destination. We might stop to admire the landmarks or must-see sights, but we don’t pay much attention to the more mundane objects and structures that “furnish” the passing landscape. It’s our failure to appreciate these oft-overlooked pockets of public space that Swiss photographer Roland Iselin wants to remedy with his new project, Unguided Road Trip. With no set destination and guided only by what he found interesting in the passing landscape, Iselin traveled throughout his native Switzerland and his “second home,” the United States. In small and densely populated Switzerland, the landscape is mottled with all sorts of structures and objects. But even the vast and scarcely inhabited areas of the United States reveal a surprising array of roadside attractions, from bus stops and gas stations to cattle gates, rifle ranges, and even a sixty-three-foot-tall neon cowboy, “Wendover Will.” In many cases, the objects Iselin photographs serve a specific purpose, such as benches, phone booths, mailboxes, and signs—objects we make use of then forget about almost immediately. Other objects reflect our culture and values, like the wayside crosses that serve as memorials for victims of car accidents. Reflecting on the many objects common to both countries, Iselin argues that a landscape’s “furniture” does not accumulate incidentally. Each object or structure has been designed and intentionally placed and can therefore tell us something about the society in which it is found. 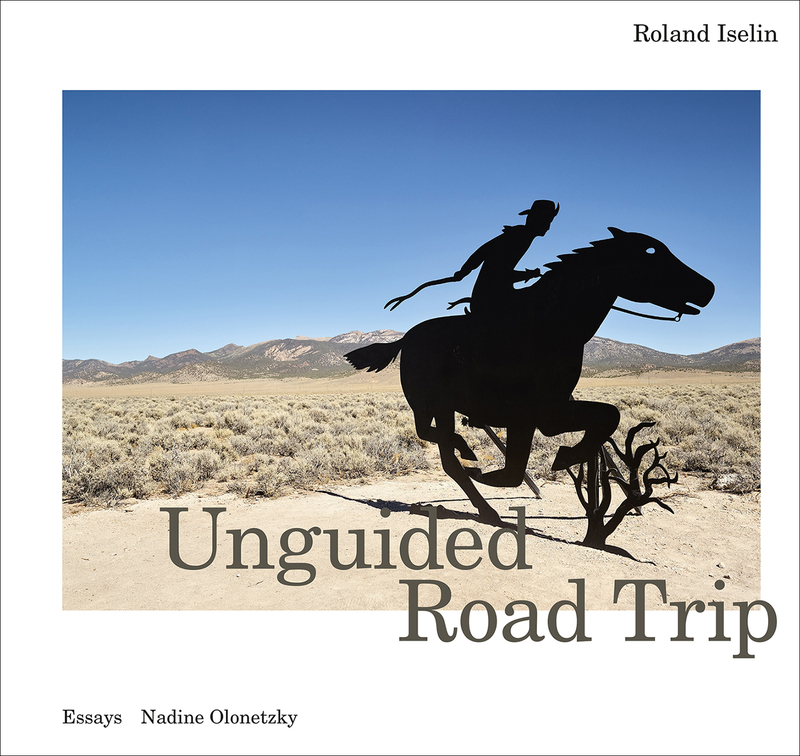 With 130 beautifully reproduced photographs, Unguided Road Trip also includes eight short essays by Nadine Olonetzky on aspects of Iselin’s motifs. It is the perfect book to wander through whether you’re a long-time fan of Iselin, a newcomer to his work, or just seeking a greater appreciation of our inhabited space.